Fall in love, quit your job and make tequila. That’s what Alex and Monica did. 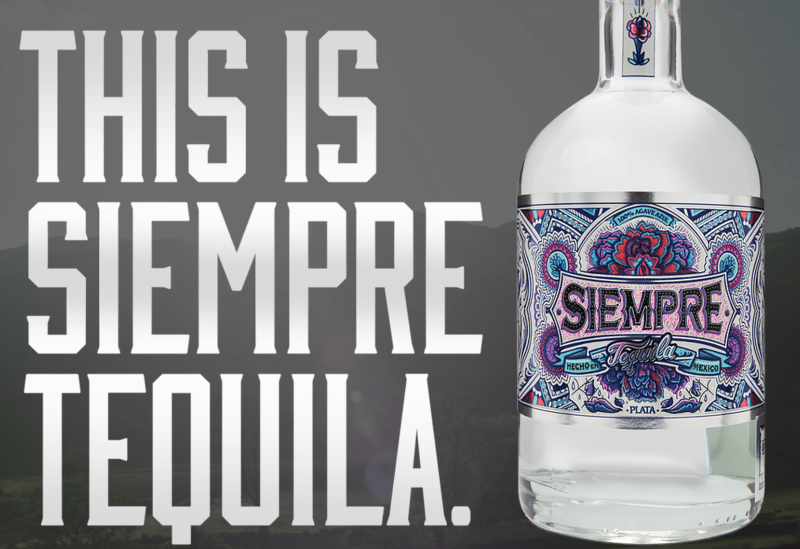 Traditionally crafted in small batches Siempre® Tequila Plata is a unique luxury spirit made with a fusion of single estate 100% Blue Weber Agave from both the highlands and lowlands of Jalisco, Mexico. This unique combination blends the earthy, bold, wood-like character of the valley with the sweet, citrus-filled flavours of the mountains delivering notes of pepper, salted caramel and honey. This, combined with our distillery’s century old traditional techniques, is how our perfect craft tequila is created. The intricate folk art-inspired packaging that captures the history and culture of the magical town where it’s made also speaks to the attention to detail that’s put into the cultivation and production process. If you look carefully, you’ll see we use the rose to tell our story. In Mexican culture, we celebrate both life and death – and with celebration comes Siempre.